Powder Coating by Blast Masters offers Electrostatic Powder Spray Coatings, otherwise known simply as Powder Coating. Powder coating is one of least expensive and most durable coatings on the market today. With proper metal pretreatment (media blasting) powder coatings provide outstanding corrosion resistance. So why not add this to our lineup of services? After all, most people prefer powder coating over any other finish. Our facility is able to provide finishes for parts up to 22' long with an almost limitless variety of colors and textures to choose from. Powder Coating is a high-quality finish found on thousands of products that we come in contact with every day. Since it's introduction in the 1960's it has become the industry standard for coatings. Powder coating works by applying an electrostaticly charged powder to a grouded part thru a special spray gun. After the powder is applied the part is placed in a curing oven and heated to about 400 degrees for several minutes. While the powder cures the pigments that are mixed with the resins within the powder chemically react. This creates the hardened durable coat. 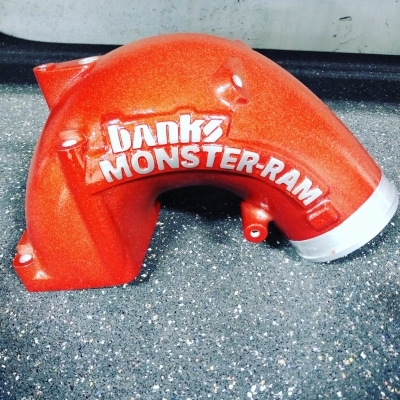 Powder coating creates a durable finish that is unmatched by any other liquid finishing techniques. 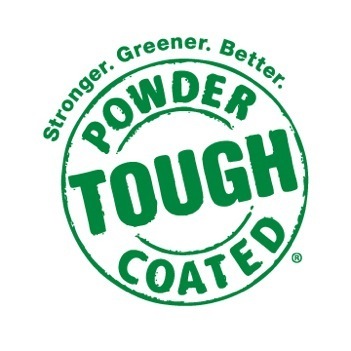 Powder coating protects the roughest, toughest equipment as well as regular household items. It provides a more durable finish than liquid paints can offer. Powder coated products are more resistant to diminished coating quality as a result of impact, moisture, chemicals, ultraviolet light and other extreme weather conditions. It is resistant to scratches, chipping, corrosion and fading. Finally, the Powder Coating process is environmentally friendly due to the fcat that it produces minimal volatile organic compounds (VOC's)!